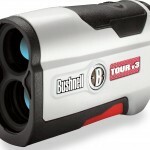 As you go through the process of shopping for a laser rangefinder to add to your collection of golf equipment, you are likely to notice one thing – these devices can get expensive! Like anything else, the market offers a variety of price points for rangefinders, from down around $100 on up to $400 or more. Obviously, your budget is a personal decision that you will have to make before you go ahead and buy a particular unit. However, if you are budget-minded and want to keep your cost to a minimum while still getting a quality piece of gear, the TecTecTec VPRO500 is one worth careful consideration. On one hand, it is always nice to save money, no matter what you are purchasing. On the other hand, you don’t want to spend money on something that isn’t going to meet your needs just because it is a bit cheaper than other products on the market. Fortunately, the VPRO500 doesn’t really ask you to make much of a sacrifice when compared to other rangefinders marketed to golfers. Sure, it might not quite have all of the bells and whistles of some of the top-line models, but that doesn’t mean it can’t get the job done. At the end of the day, the idea is to get an accurate yardage from your ball to the target, and the TecTecTec can do just that. First and foremost, any laser rangefinder that you purchase needs to be able to measure distances accurately from the first hole on through the last. This model is able to measure up to 540 yards using a continuous scan mode along with Pinsensor technology. The measurement that you are provided will be accurate within one yard, meaning you can count on the number you are given when you go to pick a club. Just like most of the other laser rangefinders available, the TecTecTec delivers the information you need directly through the viewfinder, so you will see your yardage immediately as you scan the targets in front of you. Frequently you will want to use the viewfinder to measure the distance to the flag, but you can also use it to measure distance to a tree, the face of a bunker, and much more. You don’t want to have to carry around much extra weight when making your way through a round of golf, and the VPRO500 keeps that in mind. With a total weight of just 185g, you won’t be adding anything noticeable to your bag. The unit is designed to be dust and water resistant, and it can easily be used with a single hand. With just a little practice, you will be able to pick this unit up, measure your target quickly, and put it back down to proceed with your shot. 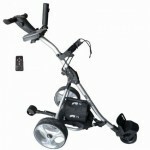 It is important to keep up with pace of play when you are out on the course, and this unit will help you toward that goal. If you choose to add the TecTecTec VPRO500 to your golf bag, you will be happy to know that you will be getting a number of different pieces of gear along with the rangefinder itself. First, you get a carrying pouch which is great for protecting the device while you are out on the course. Nobody wants to see their rangefinder meet an untimely death due to an accident in the cart or on the bag, and the carrying pouch will help to prevent that from taking place. Also, TecTecTec includes a strap, a cleaning cloth, and a guide to help you get started. The battery that is needed for this rangefinder is included as well, so you will have absolutely everything you need to hit the links right away. It can be hard to decide on exactly the product you wish to purchase – especially when buying online where you can’t touch and feel the options in question. However, you don’t have to worry when choosing to buy the VPRO500, because it includes a 100% money back guarantee. If you aren’t happy with your purchase for any reason, the unit can simply be returned for a full refund. With this protection in place, it is much easier to try out a model that comes from a brand which isn’t as well-recognized as some of the others on the market. There is a warranty provided with the rangefinder in addition to the money back guarantee, so you will be covered on a number of fronts. There are a lot of rangefinders on the market today – that much is clear. Whether you are going to go with the TecTecTec VPRO500 or another model is ultimately up to you. Are there models on the market today with more features than the VPRO500? Yes. For instance, this rangefinder does not include the ability to adjust yardages for slope, which is something that most of the higher-end models offer. Is that something you need, or even want? Again, that is something you will have to decide for yourself. You might find the slope adjustment function to be handy, or you might find it to be something you don’t even use. If you play in any tournaments, you probably won’t be able to use slope adjustment anyway. 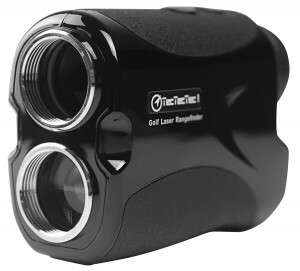 What the TecTecTec offers is a solid, reliable rangefinder capable of giving you accurate yardages round after round. If that is all you want from a laser distance measuring device, the VPRO500 is certainly a contender. Considering the fact that it often costs less than half of some of the competing units on the market, it is easy to see a case for this being the model that you choose. Take your time to weigh the features and prices of various models available before making your final buying decision. Good luck with your shopping, and play well! Check out my guide on the best golf rangefinders before purchasing a rangefinder.